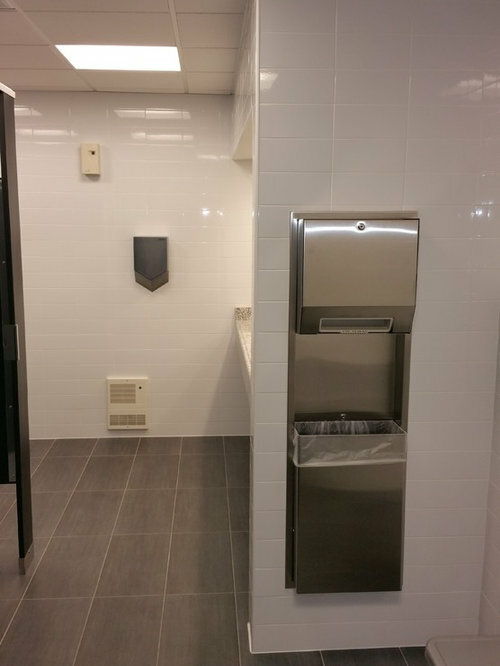 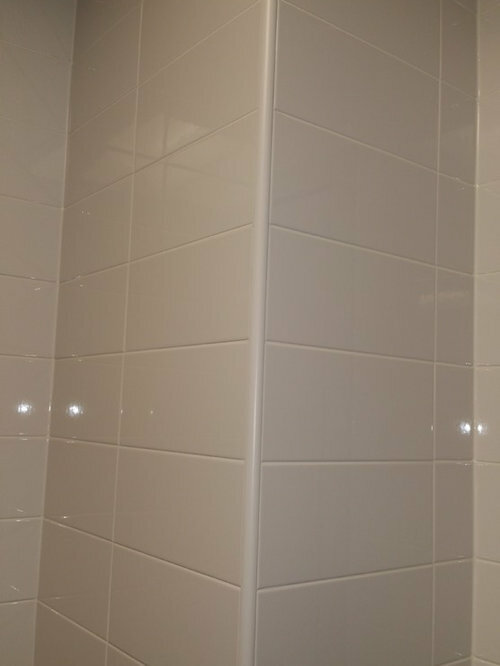 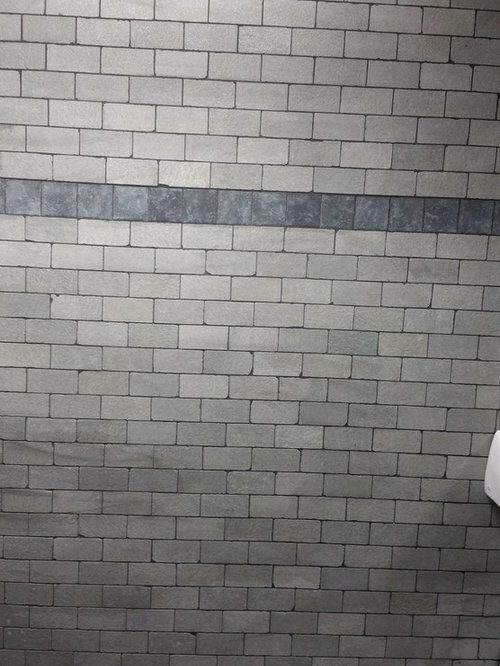 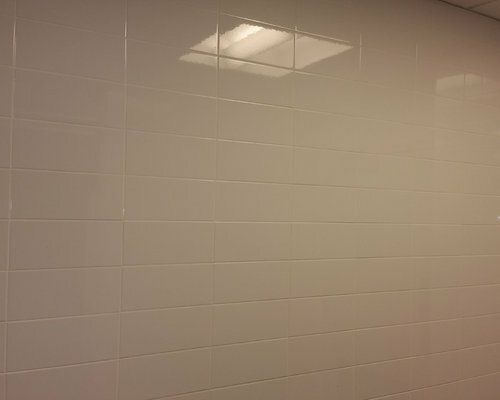 Commercial bathrooms with black linen tiles 12 x 24 and white subway tile in 4 x 10. 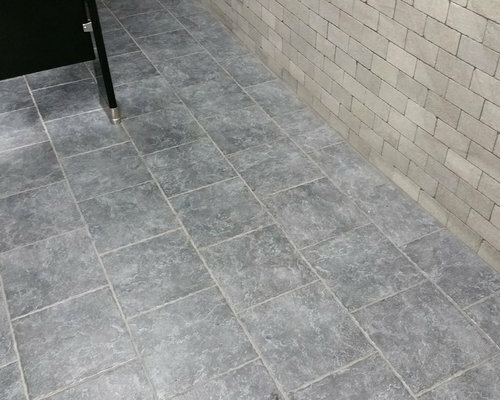 Commercial bathroom with black linen floor tile and white subway tiles. 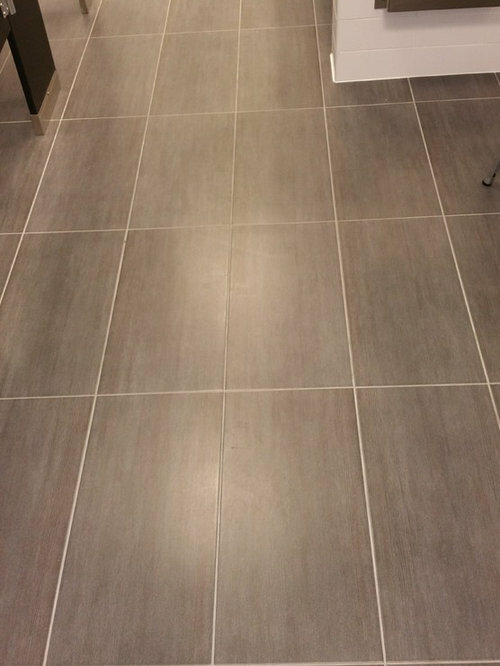 Commercial bathroom installed with Lea Ceramiche Tecnoquartz subway tile with black floor tiles.